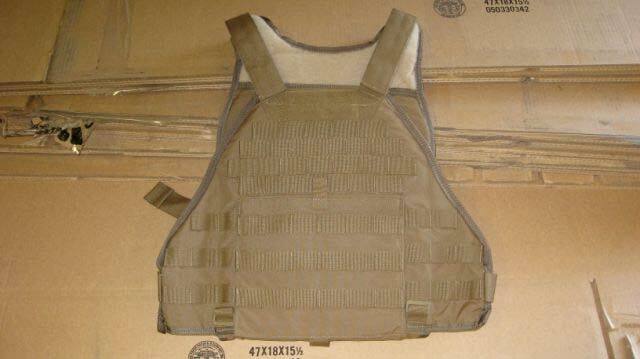 The base vest consists of front and back panels with non-removable soft armor providing a minimum of a half inch extended coverage around the perimeter of the plate; utilizes PALS as well as offset double rows of webbing on the front panel similar to the MTV that allows the user to affix various pockets to the carrier. The front panel includes a kangaroo pocket for miscellaneous usage; has slots on the inside for a groin protector; includes 1.5 inch buckles to attach to the back panel waist band and 1.5 inch shoulder straps. The shoulder pads are affixed to the shoulder straps by simply wrapping around them and closing in place via hook and loop; have slots cut in the outboard sides for the future capability for adding deltoid armor. The cummerbund is designed to distribute the load to the user's waist and hips; is adjustable to customize fit to the user's waist; utilize PALS allowing the user to affix various pockets. 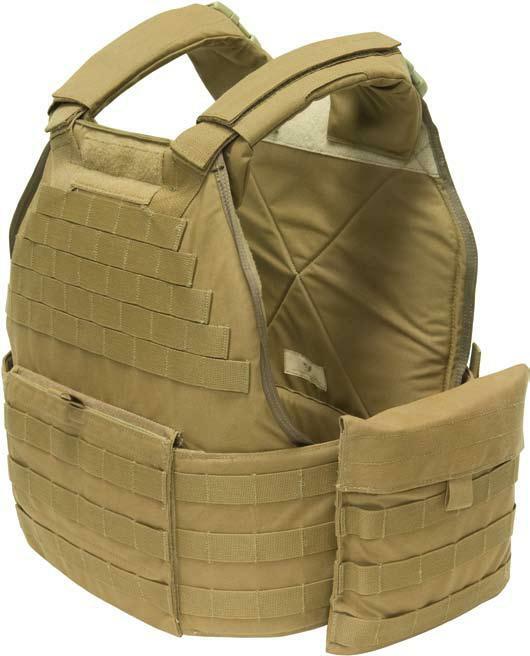 The side plate pocket gives the user the best option for modularity and fitting; is large enough to fit 6x8 side plate and soft ballistic insert inside of it; features PALS webbing on the outside so that once the pocket is attached to the cummerbund the user does not have to sacrifice an attachment space. The assault pack attachment straps fasten to the cummerbund to provide a streamline and efficient way for the user to utilize the assault pack while wearing the plate carrier.